I just went through my Win List for 2017, an annual review that I love doing as a reminder of how awesome my life is, and how it continues to get even better. Health: I recovered early in the year from pneumonia, and unlike last Christmas, I was healthy & well for Christmas 2017. I had successful cataract surgery in May, enabling me once again to drive in the dark comfortably. 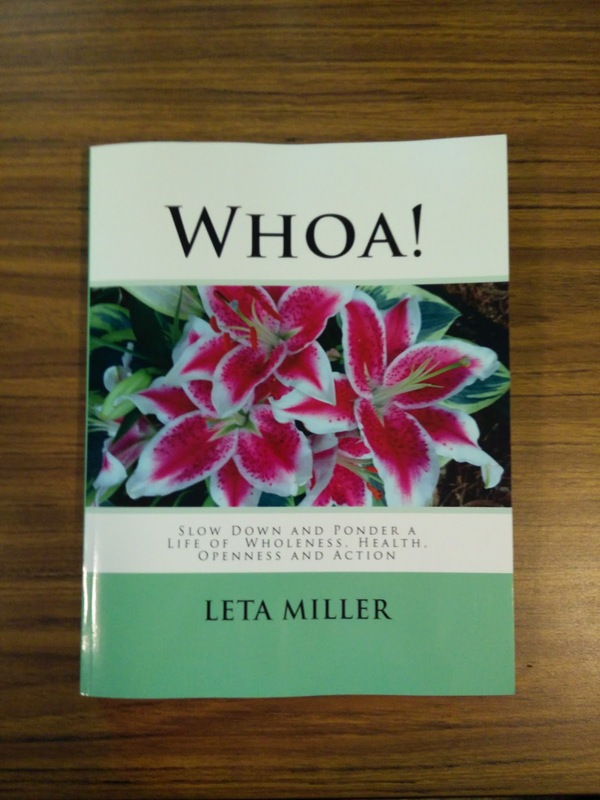 Creativity: The BIGGIE--I published my second book, WHOA!, via createspace. A year's work went live on Amazon in October. Visual art became a fixture in my life for the first time, inspired by a Paint the Town adventure with girlfriends where I learned how paintings "happen." It was a game-changer. I subsequently did Zentangle drawings for my book, and took an acrylics painting class in the fall, and set up a dedicated painting area in the woman cave. I also started a three-person writer support group. Milestones: I passed 1,000 hours of yoga teaching. For the 20th year in a row, I swam over 100 miles/year. Dennis & I celebrated our 31st anniversary. I signed up for Social Security!!!!!!!! I ended my yoga teaching gig (over 4 years) at the Body Studio. I completed the second season of tax prep work, which funded much of the fun under "Travel." Family: We had several great visits to Fort Collins to see our sons. Caila joined us as Derek's girlfriend. We enjoyed getting to know Aliza (Eliot's girlfriend) & Paisley (daughter) even more--Aliza is an accomplished painter, a joyful connection for me as a rookie. All five of them came to Wichita just after Thanksgiving, a time for the sons to show the girls their "roots." We had another super Christmas all together in Fort Collins. My Miller family back east is all alive and doing well. Travel: I organized & enjoyed a trip with travel bud, Lanie, to the Pacific Northwest (Portland, Seattle, Vancouver). A big driving trip back east included Camp Good Life, two new-to-me baseball stadiums and lots of family & friend fun. The annual Chicago/Cubs weekend with Cricket was in August. Dennis & I made trips to St. Louis for the annual Pockets reunion and Thanksgiving with the Hardin family. A trip to Minneapolis happily reunited me with grad school friends & got me to Target Field. 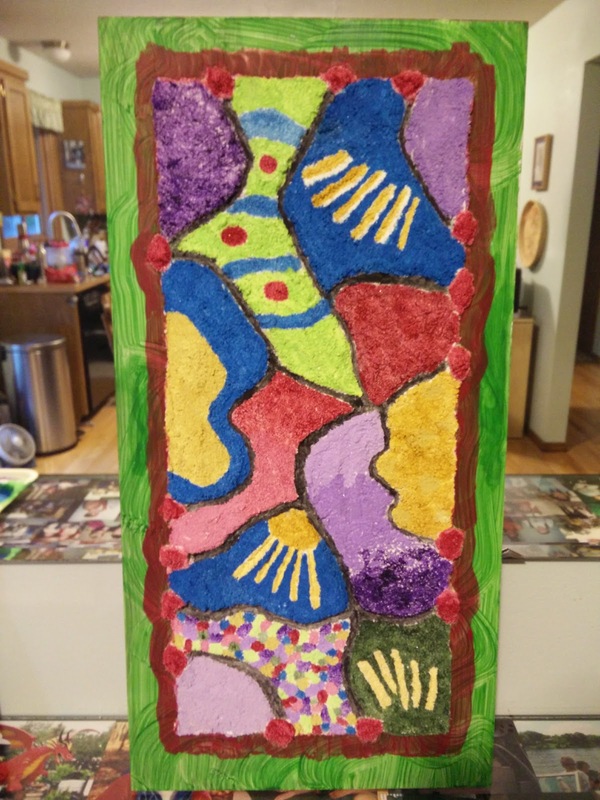 I hosted another successful retreat experience at Timber Creek Retreat House in October. Miscellaneous: We got new windows in our house, the last "major" necessary renovation complete. Loads of GOOD! Looking forward to even more in 2018! The path to enlightenment is not a path at all; it's actually a metaphor for the time it takes for you to allow yourself to be happy with who you already are, where you already are, and what you already have... no matter what. The "no matter what" part is big. This is a challenge for me. I am generally happy with myself and what I have (plenty! ), but the where-I-am part... I get into these funks where I just say, "Why bother?" It seems that most of the results of my efforts are average, mediocre, nothing spectacular, no matter how much effort I put into it. For instance, I put a full year of my life into writing and publishing a book, and in total I've sold less than 100 copies. I haven't even broken even on my costs. Why bother? I am well aware that this is self-defeating thinking. Sometimes I just don't have the energy to sustain a change in my thoughts. I also realize that I can't simply sit back and do absolutely nothing in life. It's an uncomfortable place to be. However, I know, mercifully, that "this, too, shall pass." I just finished my last regular Tues/Thur Forrest Yoga class at the Wichita Body Studio. Ending this regular class schedule after more than four years was my choice. While I enjoyed my time there, the decision to stop the classes feels right to me. I simply want to say "thank you!" to my students, especially those who came faithfully over those 4+ years. It has been a great honor to get to know you and to support you in your physical and spiritual journey. I have been hugely blessed by your presence, and I have learned so much from teaching yoga these past few years. And we shared much blessed laughter! I truly appreciate all the gifts showered upon me by my students. Your kindness is exceptional. My prayer is that the yoga community continues to grow, bringing the principles of the eight-limb path of yoga to bear on our world, especially peace. As I was walking yesterday at Sedgwick County Park, I was listening to Rob Bell's Podcast #176 with guest, Alexander Shaia, wherein they were discussing the "Mythic Power of Christmas." It is a very informative podcast about how our present-day Christmas traditions developed. As is usually the case with the Robcast I choose, it was just "what the doctor ordered." Mr. Shaia talks about darkness (as in the shorter days of winter AND the dark times in life) as being the place where grace is reborn. That brought me great comfort. As you can see from the past couple of posts, there has been much darkness surrounding me the past couple of weeks, including two unexpected transitions. Just as a human fetus takes time in the womb to develop, I feel like I have a tiny seed of grace to nurture in myself, and it will continue to grow and ultimately bring even more light within me. I'm holding on to that comforting thought, as I hold those who are suffering near and dear to my heart. P.S. 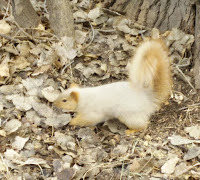 During my walk, I was delighted to discover this very unusual squirrel at the park. Being no nature expert, I'm not sure if this is albino or what? 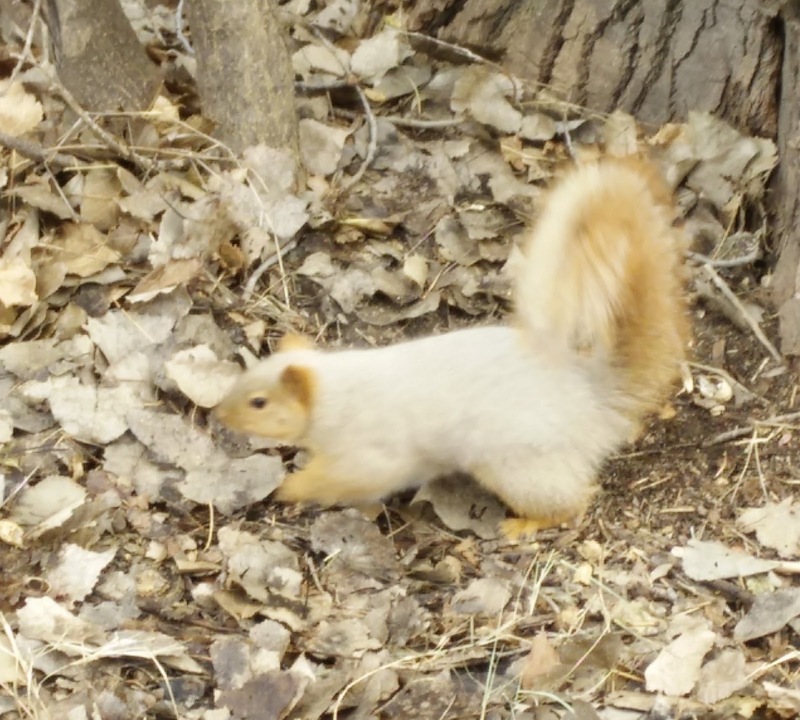 It sure stands out among the gray squirrels. I had fun playing with it to get this photo. I am a candle. You can be, too. Right now, my candle flame is tiny and being battered by the winds on ongoing (yes, more) distressing news about loved ones. To back up... the big family news is our oldest son planning a temporary work adventure on the other side of the world, somewhere in Australia. That's good and exciting, and since that country is at the top of my travel bucket list, I'm happy about it. Nevertheless, that ongoing "letting go" thing with our kids continues to challenge me... my baby will be on the other side of the world! The other change I briefly mentioned in my previous post is a minor (tax prep) job change that is fine. Then yesterday, I received more bad news about several loved ones. I was discussing with my awesome prayer partner yesterday that I guess my role is to be a "life is good" candle in this darkness that is swirling around me. I was feeling so overwhelmed that I even sat down to paint last night. 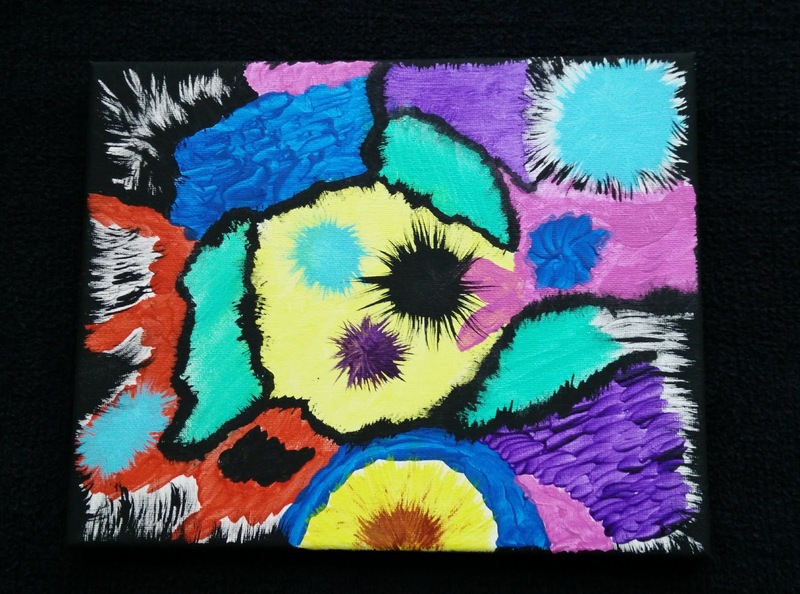 While I feel too much of a rookie at painting to title my works, this one has to be "Too Much Darkness," as that phrase just kept revolving through my mind as I painted. The bottom center is my internal cave which is full of light. Then this morning, something happened which made me so angry, I could do nothing but soul-rinsing (commonly know as crying) which will ultimately make my candle flame brighter. I am grateful to friends who let me vent on them, which helps keep my flame burning. Lots of folks (LOTS!) are distressed right now. Angst is running way high. I think those of us who are aware of our nature as light truly can uplift others. It takes good self-care. It takes faith. It takes a close relationship with a power bigger than me, which, thank It, has things way more under control than I do. Please join me in keeping your candle flame going... we all need the light! As several friends can attest, earlier in the fall I claimed that I had a feeling changes were coming, but I didn't know how it would all play out. One change is dropping the two weekly yoga classes to make room for ??? Well, over the last few days, even more change has been added to the pot that is my life. One change is so huge, I could never in a million years have seen it coming. It's all good, but it will be the biggest change in our family since having kids. Another potential change will be revealed later today. It, too, was initiated "out of the clear blue sky." To note my new book's title, WHOA! I feel like I set this cute little snowball called "Change" at the top of a mountain, Spirit gave it (me) a nudge, and that cute little sucker is roaring down the mountain getting bigger and bigger. I have mostly good feelings about all of this. I feel my faith in the goodness of life is strong. I have good friend support to keep me from overeating. I have the power (and will, if needed) to say "no." Note the title of this post. That statement can inspire good, bad or neutral feelings. This week, on Tuesday and today, I had the unpleasant task of announcing to my Tues/Thur Body Studio yoga class students that Dec. 21 will be my last time teaching weekly classes there. There were tears (mine and students'), and we all were bummed. Even though this move is my choice (and a decision considered for many months), there is still a grieving process I must pass through. I've been teaching on Tuesday and Thursday mornings for over four years. It will be quite a change to stop that. Alas, emotional upheaval like this for this addict makes me want to eat the entire universe. I am attempting to cope in a more productive fashion by writing. In addition, my husband is on a trip to visit a many-decades friend who is being treated for a very serious case of cancer. I am happy he is able to make the trip, but the concern for our friend is heavy on my heart. I swam this morning, which usually improves my mood significantly, but my heart (and body) couldn't even get into that. I am well aware that there is infinitely more for me to be grateful for and celebrate than there are downers in my life. I feel confident that there will be an end to my grieving, so for now, I'll just let myself feel the low feelings. Fortunately, there's plenty of food at home, so that I can stay away from the grocery store today! And I remember one of my favorite recovery phrases, "This, too, shall pass." From Maya Angelou: "Success is liking yourself, liking what you do and liking how you do it." I say, "Amen to that!" because I have been in the opposite place of not liking me, and therefore, I did not like what I did or how I did it. I did countless creative projects, but because I was not comfortable with myself, I didn't like what I created. Let's look at this from the end result and work backward... if you are never satisfied with what you do, it's not good enough or perfect enough or whatever enough, let that be a trigger to look into your relationship with yourself. I am reminded of my former self by my painting class adventures. I am tempted to feel dissatisfaction with my budding artist efforts, being a total rookie at painting. This is exasperated by another person in the class who paints beautifully, and has done so for many years, but she is never satisfied with what she does, always criticizing her own work, quite vocally. She's a profound example of where I do not want to go, as it would surely kill my joyful desire to paint. Ms. Angelou's words point to success as being quite simple, though not necessarily easy. If you're reading this right now on a phone or computer, you're rich. If you have somewhere to go today, you're connected. And if there is anyone, anywhere, who for any reason knows where you are at this moment, you’re loved. How's that for a feel-good reminder? Accomplishing all these things would certainly make for an extraordinary life. I still have plenty of learning to do, and I'm loving it! In the author bio in my soon-to-be-released book, one of the roles I listed for myself is "budding artist." This is because the book includes artwork for coloring created by yours truly. Referring to myself as any sort of artist, budding or otherwise, is a stretch for me about as wide as the Grand Canyon. 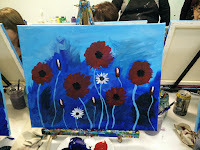 Last night was my first in a series of six classes on acrylic painting at City Arts in Wichita. Other than the mandatory art classes in high school, I have never done anything like this, ever. I went into it with joyful expectations of fun and learning, and my expectations were met over-the-top. Of the five students in the class, I am the only one who is a complete and total rookie. It is so fun on a soul level to be so wide open to learning something so new. I confessed that I am powerfully moved and intrigued by color and light the way some folks respond to music. I also confessed that the idea of having to paint anything that is supposed to actually look like something real is terrifying. I learned that the painting I love, and hope to create, is called "non-objective." I'm on it! The instructor spent half the class talking about the materials we would be using. He's a man after my own heart, suggesting always to take the thrifty/bargain route. Big relief there. 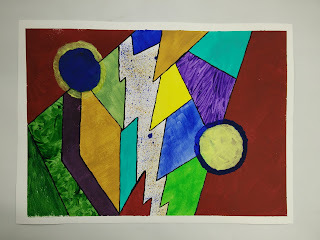 Then we actually had time to do some play with paints, and even doing the simple color chart as a starter--well, I got lost in it, and would have spent the rest of the evening there had we not had a class ending time. What fun! Maybe there's some new thing you'd like to explore???? This Brave Broad says, "Getting older requires great bravery!" That obnoxious Inner Roommate voice in my head is saying, "You're getting older. Get used to those aches and pains 'cause they are gonna keep on coming." If that doesn't annoy me enough, it goes on, "If you hurt yourself bad enough, you'll be dependent. Then after a long time of being a burden, you'll die." Sometimes I want to rip my own head off! Clearly, this is another growth opportunity. An opportunity to focus on what I want in life (total well-being) instead of what I don't want (see preceding paragraph). An opportunity to be compassionate toward my amazing body, rather than irritated with it. And as good timing would have it, I have a weekend workshop later this month wherein I can work deeply on all these growth opportunities. Other than the occasional blog post, I had stopped writing for several years. The details of that hiatus aren't necessary. Q, my nickname for my higher power, kept nudging me to write (i.e., intuition), and I was resistant, to say the least. 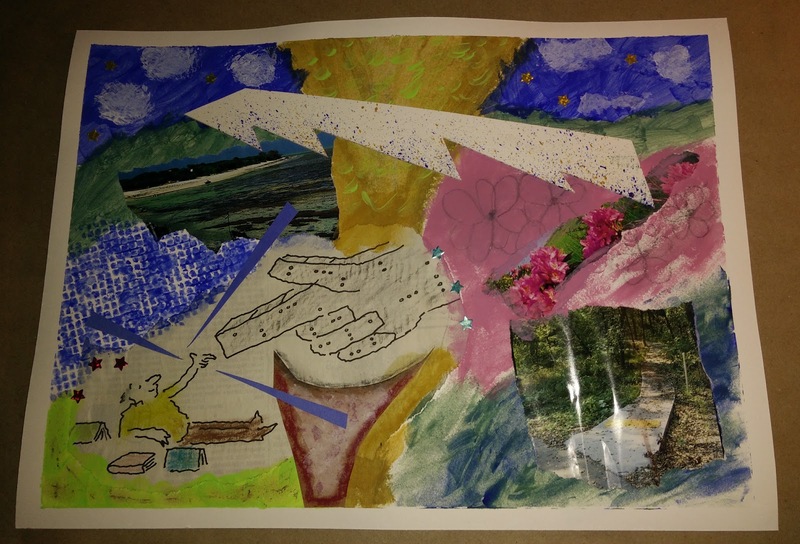 Last October, at a retreat at Timber Creek Retreat House, during a meditation, Q was finally forceful enough in It's message to get me writing again. Delivered to my psyche then and there were the title, the outline and even an idea of what the book cover would look like. This is a proof copy of the book, which will be available on Amazon in October. The title is still growing on me, and the subtitle explains the title: Slow Down and Ponder a Life of Wholeness, Health, Openness and Action. It's a book of short introspective meditations with questions for pondering, space for journaling or doodling and artwork to color. There are a few personal short stories included. I am thrilled with how it turned out. I did it all via Amazon's self-publishing process at createspace.com. For me, writing the book was the easy part. Promotion of the finished product has the potential to be filled with great pressure and drudgery for me. I was reminded by my loving spiritual mentor that all I need to do insure success along those lines is to do the things I love and let the rest go. That in itself is success. In any case, given Q's insistence to get this book into form through me, I know that my invisible support team is hard at work lining up the people. places and circumstances to spread the book around. I'll keep you posted on the official release date. Each week in my yoga classes, I read a segment from the book "Meditations from the Mat" by Rolf Gates and Katrina Kennison. It is a very insightful look at the whole system of yoga, an eight-limb system teaching humans how to live in a state of well-being on every level. Yoga postures (asana) are just one limb of the eight-limb system. Yesterday I came upon this sentence in the book: "Give the opportunity you have been given the respect that it is due." In context, it was referring to the opportunity of attending yoga classes. However, I see this as a powerful guiding statement for all of life. Those are just the ones that "floated to the top" as I was writing this. The sentiment of the above quote adds a reverence to daily life and all the things we get to do, be and have. Please ponder this and feel free to add to the list from your own life experience. It feels good. Don't beat up on yourself about procrastination, for this reason. When you are focused upon what you want and you are in a place of really expecting … in other words pure creation … you will be inspired to action and the action comes easily. But if you are not really clear about what you want or if your expectation is not quite yet in alignment, then it takes more action. But even in offering the action it is counter-productive because you are working against yourself. In other words you are splitting the energy. You are following? So procrastination is nothing more than your physical realization that you are acting too soon, that some mental alignment is in order. Or that the fire isn't there yet so don't spray the hose in the house! Procrastination is not a bad thing!! It is the realization that the Universe has not sufficiently aligned. It is the same thing as saying, "Abraham, I went out to the garden. I looked at the bush. I saw that great big green hard tomato and I just didn't feel like plucking it and eating it." We would say, "Of course you didn't feel like plucking it and eating it! You'd rather wait a few days until it becomes soft and delicious and ripe and ready for you." And in the same way we say don't try so hard to bang your way forward. Allow, or trust that the laws of the Universe will brings things into the perfect alignment. And you be one who is at the right place at the right time, and you will be when you are looking for reasons to feel good. "When we become love and cease having anything to prove, we are finally and exquisitely free." The combination of freedom and flexibility is one of my top five core values in life. I love having a flexible schedule so that I can travel when I want. Having that flexibility gives me a great sense of freedom. The quote above, however, inspires me to dig deeper into the idea of freedom. I am in the process of releasing some obligations from my schedule. As I look on those things I have let go or plan to let go, I see it's because in those areas, I have ceased having anything to prove. I am letting them go easily and gracefully, not with any angst of incompletion or failure. I am opening the way to be more love, by being able to do more of the things that I love. Yes, it does feel very free and heart-opening. Give off light, or darkness. Be a candle, or the night. It's not easy in our fear-filled, perfectionistic world to be a beacon of light. In fact, with that very statement, I was being "darkness." It is possible, however, to be a candle. It takes a bit of effort, continually reaching for a better-feeling thought. We don't need to light the entire world, either, just our local path. My choice for today is to give off light, smile, be enthusiastic, live a "life is good!" attitude. I am busy having fun with Zentangles (zentangle.com). I am creating these to use in my forthcoming book for coloring. I bought the Zentangle starter kit, but you wouldn't need to. 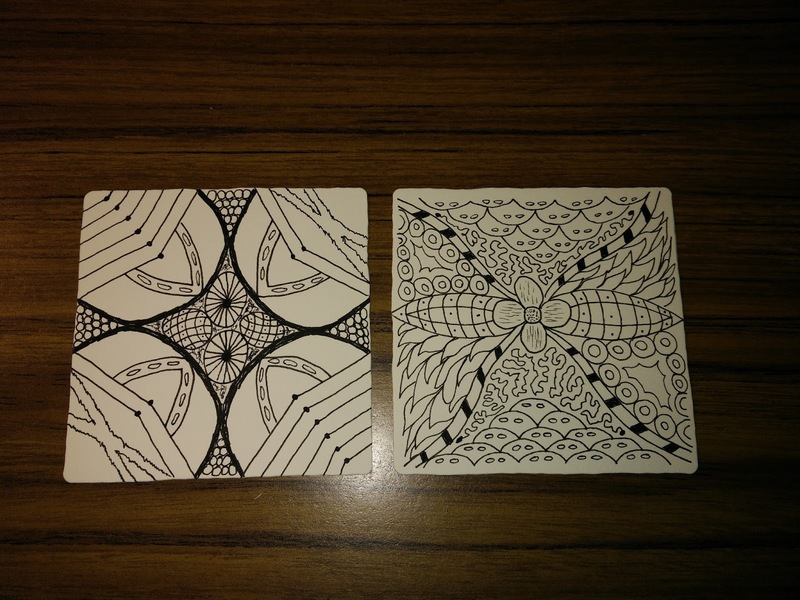 Google "zentangle" and you'll find plenty of resources online. I do, however, really like the paper provided in the kit. Doing this is a great form of meditation. I get lost in the creativity of it all. Who knew when I agreed to write the book that I would end up putting MY art into it? Had someone told me that when I started writing, I would have scoffed vehemently at the them. I guess I am evolving, even if I don't see it sometimes. Oh, yeah, that's part of being a Brave Broad! I am in awe even more now over the human body, in this instance, the eyes. The ability to heal, an amazing mystery, is very dear to my heart right now, as I had the cataract removed from my right eye just two days ago, Wed. morning, May 31. The general path regarding the lens implant is for folks to have their distance vision corrected, leaving the up-close vision requiring glasses, as most folks near vision has deteriorated significantly with age. I went into it with still excellent up-close vision, which I wanted to keep, and a willingness to keep wearing glasses for distance. Losing my great up-close sight would be traumatic for me. So that was the big question as I came out of surgery. First opening of the right eye on Wed. found everything slanted at 45 degrees. Weird and freaky! A quick call to the doctor's office let me know this abnormal vision is normal at first. I've rested the past two days, giving my body time to heal, and I've slept even more than usual. My body is using the rest time well to heal my eye. Scratchiness is gone. Last night I was able to do a drawing, seeing clearly up-close through my newly repaired eye. I am so grateful for all the talent, good care, technology and health insurance (thanks, President Obama) that made all this possible. Wait a minute. Did I say "drawing"? Yes, I have taken up drawing. I am doing Zentangles for my forth-coming book, which (happy dance!!) is now in the hands of my editor and friend, Jeanne Smith. Huge milestone accomplished! The drawings will be in the book for coloring. I love exploring my budding talent at this very fun art form. 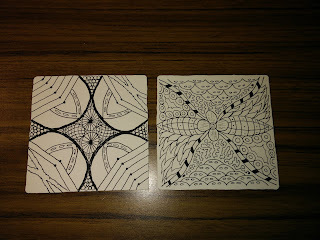 Check it out at https://www.zentangle.com/. Some friends invited me this past week to Paint the Town, a place in Wichita where groups can go and paint a picture, no painting talent needed. Since I have no painting talent (or so I thought), this was perfect for me. It was a blast. My friends and I brought snacks and wine and beer for the pre-painting gathering time. 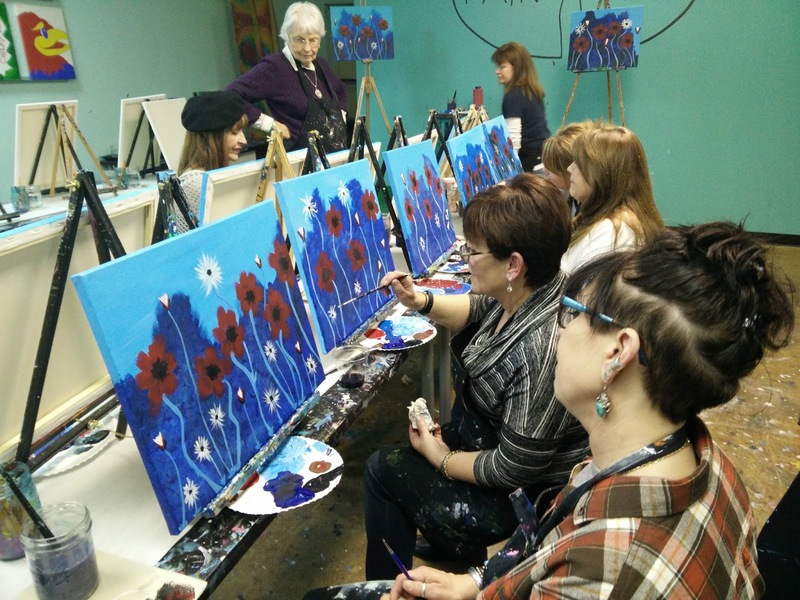 Then Mary, our painting instructor extraordinaire and extremely patient person, led us through the steps to create our flower painting. You can choose from many different pictures and all the canvas, paints, brushes, etc. are all laid out ready to go. It's a two-hour process. I live in Kansas, where it is often said that the majority would vote for Satan if they put an "R" behind his name. In my opinion, this "joke" was proven 100% true in the 2016 presidential election. These same voters keep electing the same people to Congress. The only hope for change in our congressional delegation is if someone resigns (extremely unlikely) or dies. This situation, along with the Electoral College, are extreme disincentives to vote. This disincentive is a tragedy, in my opinion. I am dedicated to our Constitution and exercise my voting rights. However, in the November 2016 election, aside from one state issue, my vote was completely meaningless. No wonder folks say "why bother?" on voting. I've heard the suggestion that I can move if I don't like how Kansas is, but we all know moving is no solution. My suggestions for projects for the Obama Foundation are two: 1) Eliminate the Electoral College, so that the President is truly chosen by the actual popular vote count; and 2) establish term limits for both houses of Congress, the shorter the better. Mark Twain: The more you explain it, the more I don’t understand it. What words of wisdom! Just this week I returned to my 3-month intensive job doing tax preparation. I walked in the door and immediately said to the accountant and my co-worker, “I forgot everything from last year!” My co-worker laughed and agreed. The accountant, however, just started explaining new tax stuff to me. I truly experienced Twain’s quote above in my first year’s tax work last year, and I can feel round two coming up. Fortunately we all have a good sense of humor about it all, and we have a great system of checks and balances to make sure everything comes out right in the end. This morning my co-worker and I were reacquainting ourselves with the new electronic phone system. We were using our personal cell phones to call the office phone and practice transferring calls and so on. Being in the same room doing all that makes for great silliness. To our credit, after a multitude of assorted trials, we finally figured out that one function was not working on our office phones. The person taking the fake calls to help us was very patient, but alas, it all deteriorated into more explaining and less understanding. Oh, and lots of laughter. I can think of multiple situations in which Twain’s quote is so very applicable, especially in parenting. Ponder his thought for a while and see where it leads you. I do believe strongly in the goodness of people, but trust me, that belief is tested frequently. I waver constantly between "love is the only solution" and, for example, despising every person who is responsible for electing Trump. Realizing I can't do much now about the election, my choice is to practice kindness. Kindness toward myself for ugly thoughts. Smiling and being friendly. Knowing that we are really all doing our best, no matter how I may evaluate that. Knowing that I don't know another's story, so who am I to judge? Doing the next right thing with love. Live and let live. Bless all those whose path I cross. Kindness feels a lot better.